Adalbert Stifter studied law, philosophy and physics in Vienna. Around this time he wrote his first poems. In Vienna he fell in love with Fanny Greipl, but it was an unhappy affair. Stifter started drinking and in 1830 he left University without graduating. He worked as a teacher in Adelshäusen. In 1833 Fanny ended the affair and soon afterwards he met Amalie Mohaupt (1811-1883). After a final letter to Fanny he promised Amalie to marry her. Fanny married a man named Fleischanderl in 1836 and he married Amalie in 1837. He continued writing and teaching, but their financial situation was very difficult. From 1843 to 1846 he was the tutor of prince Richard Metternich. By this time the publisher Gustav Heckenast published several of his works. After he had supported the revolution of 1848 he left Vienna and settled in Linz. His financial situation worsened until he became Schulrat (director of the school inspection) of Oberösterreich and Linz. He and Amalie had no children, but they adopted Amalie's niece Juliane. She ran away from home several times and after she had been missing for a while in 1859 her body was found in the Danube. It was a heavy blow for him and apart from this he had always been a heavy drinker. In 1863 he fell ill and afterwards he suffered from depressions. His historical novel "Witiko" was delayed again and again. When he was no longer able to work he received a pension, but by this time his liver was severely damaged. In his bed he cut himself in his throat with a razor and died two days later. Apart from a writer he was also a painter and his work can be found at the Österreichische Galerie in Vienna. In 1863 he became seriously ill and subsequently he suffered from depressions. In 1868 he tried to commit suicide by cutting his throat with a razor and he died two days later. The grave of Adalbert Stifter at the St. Barbara cemetery, Linz. The house in Linz where Adalbert Stifter died. 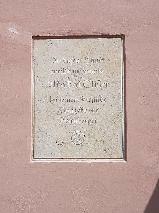 Plaque for Adalbert Stifter in Passau.